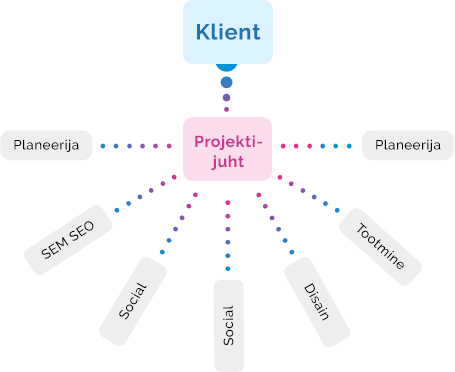 We are the biggest digital media agency in Baltics offering full service digital. We have a 7 year history in focusing only in digital to achieve the goals of our clients – we have been the biggest digital agency in the region from the start. We are strategical partners for both and we feel that these channels have a lot to say in the future of digital media. We have our own DMP, which means that we can be more precise in data usage compared to big portals. We are focused on reaching goals with as lean setup as possible, which means better hourly rates and less hours due to better processes. Let us know which service is the most relevant to your business and we will contact you.